If you own your car outright, nobody can stipulate where you have your car serviced. There are certain circumstances, such as with some car finance deals, whereby you must have your car serviced at main dealership , in order to comply with their terms and conditions. It is worth noting here that, even if your car is under manufacturer’s new car warranty, you are not obliged to have it serviced at a main dealers, but you must follow the servicing schedule, otherwise your warranty may be invalid. MyCarNeedsA.com’s advice is to choose where to have your car serviced wisely. There are a variety of establishments offering routine and specialist servicing. As with everything in life, there is no one size fits all way of servicing, and what suits your friend or colleague, may not suit you. We always advise you to explore all the quotation options offered by us, to find the best provision for your needs; you can do so safe in the knowledge that we only deal with approved suppliers. Main dealerships are affiliated with particular car brands and their staff are trained by the producer of the car. They’ll have all of the bespoke tools and diagnostic equipment required to enable them to deal with your car quickly and efficiently. In terms of servicing, they will know the ins and outs of your vehicle, including its quirks and frequent issues and be able to solve them using guaranteed genuine parts, and in line with the servicing schedule. Furthermore, having main dealer service history can increase the resale value of your vehicle by up to 26%. Common belief seems to be that main dealerships are the most expensive type of car service , this is often not the case, so be sure to check the offers available. An independent garage is a smaller, local garage that is not officially affiliated with a car brand, though may still specialise in certain makes and models. Whilst they may not have been trained by the manufacturer, this offers no insight into their level of skill, as many independent garages, verified by MyCarNeedsA.com offer an equal level of service, minus the brand-name markup. Typically this process includes a thorough trading credential check, in addition to an inspection of online reviews provided by customers and independent verifiers. Also weighed into the equation are accreditations by trusted affiliate organisations, societies and industry groups. You’ll usually deal directly with the person who is going to service your car , giving a more personal service and because the overheads at these garages are lower, there’s sometimes a saving to be had when compared with a main dealership. 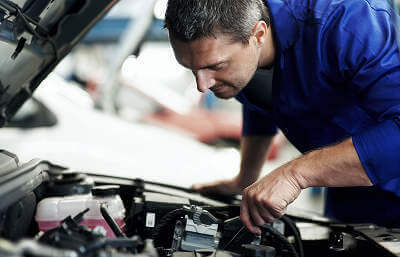 Whilst other independent garages’ level of skill and work ethic are justifiably questionable, only vetted and trustworthy garages are quoted on MyCarNeedsA.com, ensuring you a quality of mind with our quotes. Fast fit garages are usually large, national companies that will often complete the work whilst you wait. They mainly replace tyres, complete MOTs and services, change exhausts etc. Often there are good deals to be had and the added bonus of being able to just turn up makes them irresistible to some car users. Whether you are looking for a main dealership service or an independent specialist, with MyCarNeedsA.com’s convenient quotation system, you can be sure of obtaining bespoke, local quotes from our reputable partners. No hassle. No obligation. No fuss.